Ashish Koul specializes in the history of South Asia from the eighteenth century to the present. Her research investigates the historical processes through which collective identities take shape and transform in colonial and post-colonial contexts. Her current book project, provisionally entitled “The Politics of Muslim Caste: Arains in Twentieth Century South Asia,” examines the intertwining of caste, religion, and politics in the historical trajectory of a South Asian Muslim community called the Arains. 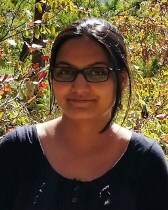 Paying attention to changing ideas about history and genealogy, religious practice, and political representation, her book analyzes articulations of Arain identity during a period when this community, and South Asia as a region, witnessed the transition from British colonial rule to post-colonial nationhood.